Be part of the VegFund Community! Join the worldwide discussion. Learn what other activists are doing, and share your knowledge. VegFund grantees are busy! From a culinary competition for kids to a preventive cardiology conference covering the health benefits of plant-based diets, our grantees are finding new ways to reach the public about the values of vegan living and improving on the effectiveness of the tried and true. 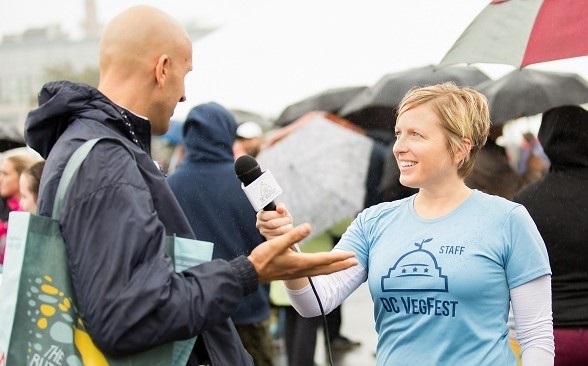 See how VegFund grantees are promoting vegan living in their communities and get inspired. 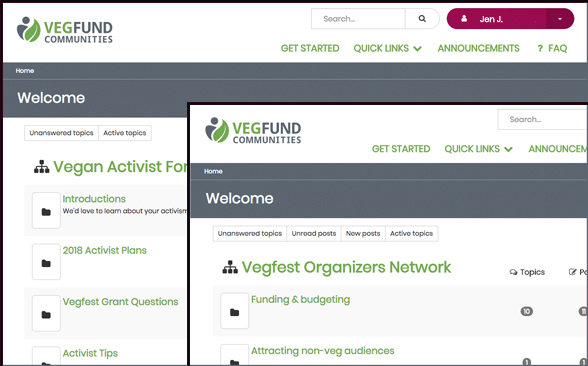 VegFund Communities is a new virtual café — a discussion forum that includes 1) the Vegan Activist Forum — a place for activists to share their work and vision and exchange ideas, and 2) the Vegfest Organizers Network (VON) — a "community of practice" designed to foster collective learning among practitioners and contribute to the quality of vegfests across the world. 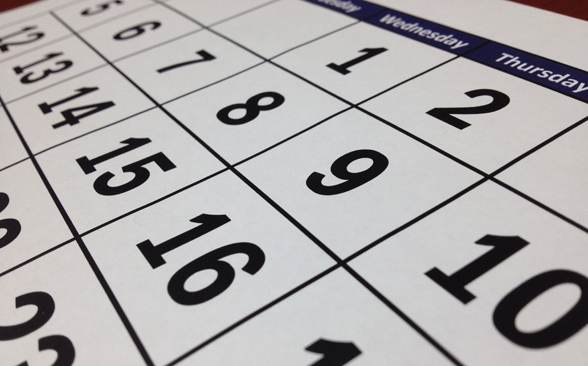 Bookmark VegFund's Event Calendar for up-to-date listings of international vegan advocacy events and projects — vegfests, film screenings, food sampling, and more. See what others are doing and join in!